Ghosts roam the war-torn streets of Baghdad in Temple Theaters’ BENGAL TIGER AT THE BAGHDAD ZOO. Rajiv Joseph’s gritty yet darkly hilarious play could be the most important theatrical depiction of the Iraq War. The eponymous Bengal tiger (Alice Gatling) bites off the hand of a Marine, Tom (Tim Dugan) and is shot. Doomed to spend eternity as a ghost, the Tiger wanders Baghdad and haunts his killer, the disturbed soldier Kev (Darryl Gene Daughtry, Jr.). Meanwhile, the translator Musa (Ibrahim Miari) questions his loyalty to the Americans when a phantom from the old regime comes to torment him. Kev’s psyche begins to unravel while Tom hordes a gold toilet seat somewhere in the desert. Amongst the greed and cruelty of war, the damned spirits ask: Where is God? What is God? Everything about BENGAL TIGER AT THE BAGHDAD ZOO asserts the production as one of the best works in this year’s Fringe. David Girard’s direction and John Michael Eddy’s scenic design create a hostile while magical vision of Baghdad. Gatling’s Tiger is wry, bitter yet painfully human (for a cat). She owns the stage, makes it her home. Daughtry shines through his elasticity: he’s vulnerable, child-like some moments while powerful and hyper-macho in others. Miari succeeds in gaining sympathy for Musa, perhaps the most complex role in the piece. This is a truly fantastic ensemble for such a challenging play. BENGAL TIGER, a biting critique of American foreign policy, is a metaphysical psycho-drama not for the faint of heart. [Mainstage at the Adrienne, 2030 Sansom St.] September 17-27, 2014, fringearts.com/bengal-tiger-at-the-baghdad-zoo. 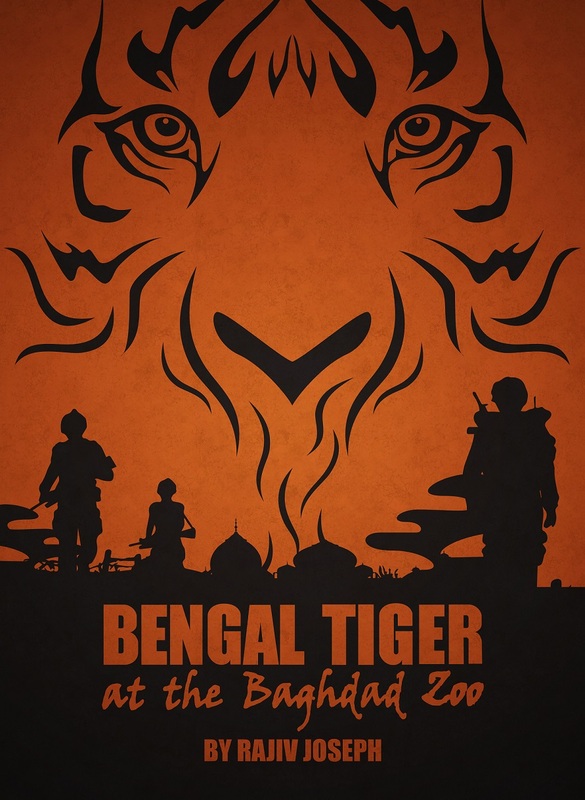 Read another Phindie review of BENGAL TIGER AT THE BAGHDAD ZOO. Josh Millhouse is a writer, performer, and theater administrator based in West Philadelphia. He hopes, in the near future, to self-produce his own work. In the meantime, he's working hard, seeing lots of theater, and enjoying this circuitous pattern of trips to Wawa that is Philly life.